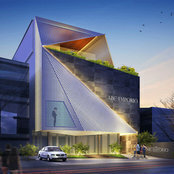 ABC EMPORIO KOCHI will be South India's first premium high end Luxury showroom with an area of 35,000 sq. feet. This international style shopping surprise is a venture of ABC group India, the trendsetter in the field of building materials distribution in North Kerala. ABC Emporio presents the widest collection of imported luxury building materials of Spanish, Italian , German , Japanese and Turkish World class brands under one roof. ABC Emporio is venture of ABC Group India with 18 years of experience. The trendsetter in the field of building materials distribution, we have our manufacturing unit in China and have expanded to Middle East and Africa.